Early 1900s photograph of a woman and three children, identified as Mary, Florence and Areline. The photograph came with a collection of photographs, most of which depict Maine people. What do you see in the background of this photograph? Could it be a headland across a bay or river? 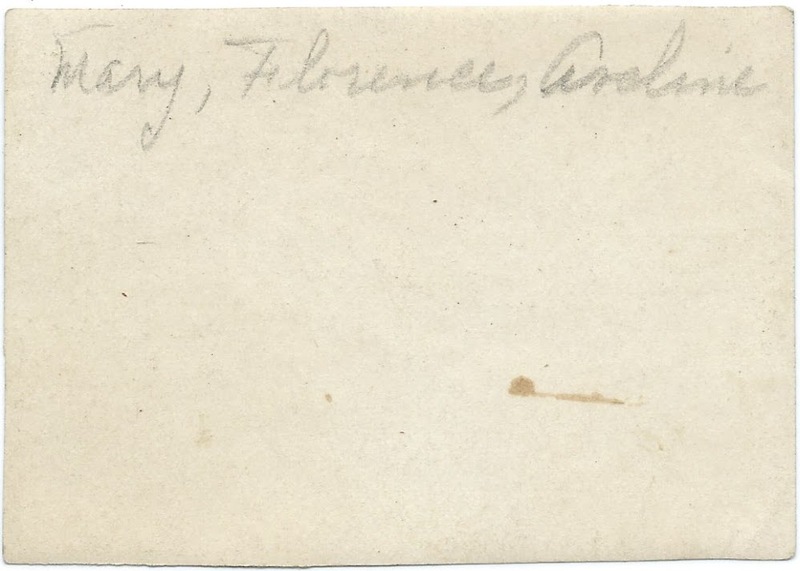 If you have researched your family or another and know of a set of siblings Mary, Florence and Areline, please leave a comment or contact me directly. c1900 photograph of Marjorie May Mills at age two. Sadly, no studio imprint to aid in identification. Marjorie may have been the Marjorie May Mills born about 1906 in Nova Scotia, the daughter of Hiram Enos Mills, Jr., and Prudence Melissa (Ripley) Mills. On January 30, 1928 at Joggins, Nova Scotia, this Marjorie married Raynold Melanson, son of Israel Melanson and Alice (LeBlanc) Melanson. Sadly, Marjorie died of tuberculosis at Joggins, Nova Scotia, on August 31, 1930. Her death certificate, with information provided by Raynold, gives her birth place and date as Joggins, Nova Scotia, on June 20, 1906. Another reference gives her birth date as September 1906. If you recognize this photograph from your family heirlooms or research, please leave a comment or contact me directly. Vintage snapshot of Aunt Ethel Brown and friends of Farmington, Maine. 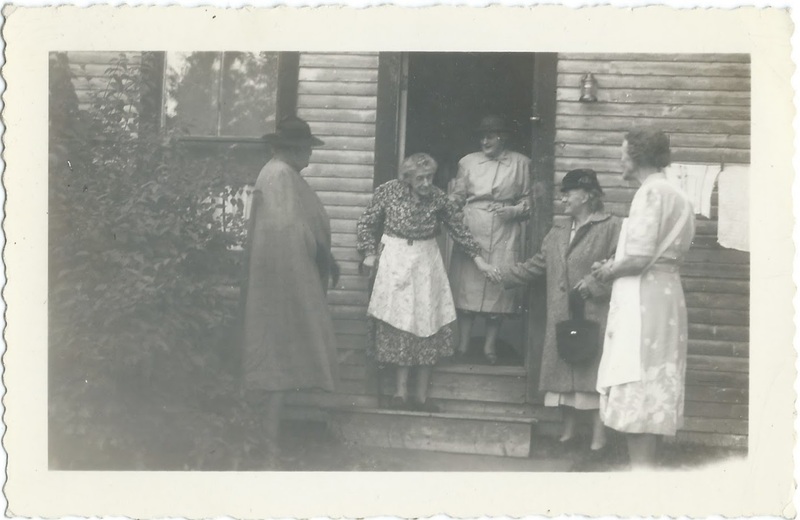 It would seem that the elderly lady in the apron on the steps is the focus of the photograph, so she may have been Aunt Ethel. The photograph was found with a collection of photographs, a quantity of them from the Milo, Maine, area, and at least four of those relating to the family of George A. Jones and wife Rachel (Lawrence) Jones. Interestingly, George had a sister named Ethel or Ethelyn. They were the children of Thomas and Jane Jones of Pugwash, Nova Scotia. George was born about 1853 and Ethel or Ethelyn about 1862. Ethel or Ethelyn married Elmer A. Brown at Worcester, Massachusetts, on April 10, 1889. 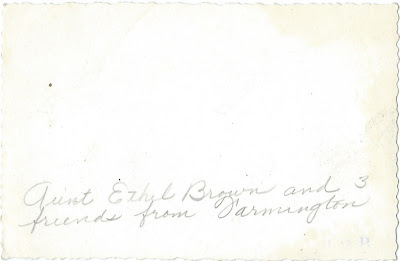 Their Massachusetts marriage record indicates that Ethel was born about 1862, the daughter of Thomas and Jane Jones of Nova Scotia, and that Elmer was born about 1861 at Vienna, Maine, the son of Moses and Ann Brown. However, the Bent Family in America gives his parents as Merrill and Joanna (Graves) Brown. George A. Jones is presumably the George Jones shown in the photograph below. 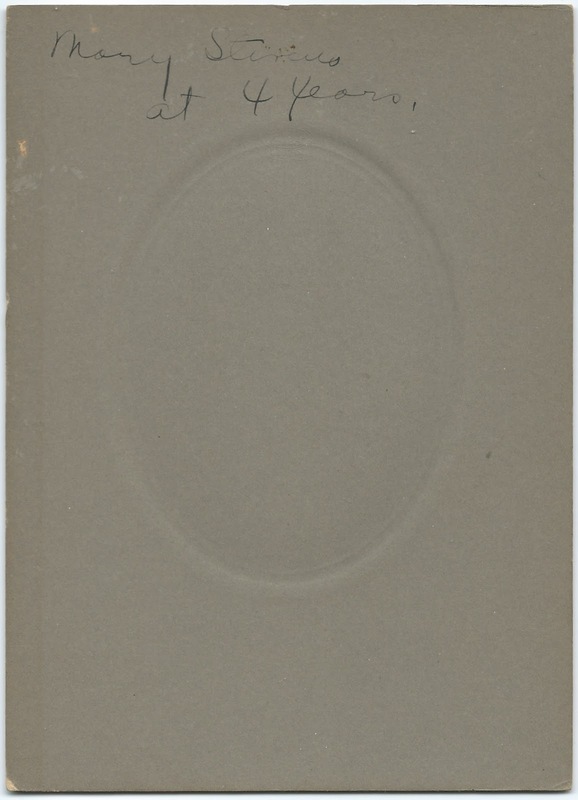 The person who wrote the identification on the reverse of Aunt Edith's photograph may have been Martha (Jones) Prescott or her sister Jane Amanda Prescott. If you have corrections and/or additions to the information above, if you recognize any of the women in the photograph, or if you feel that Edith is someone else, please leave a comment or contact me directly. c1900 photograph of a girl identified on the reverse as Mary Stevens at age 4 years. The photograph was taken by the Edson studio. Sadly, the studio imprint does not give its location. Norman Stewart Edson, who had studios in Quebec and at Burton, Washington, on Vashon Island. The photograph was found with a collection of photographs, many of them, though not all, from Maine, particularly Piscataquis County, Maine. If you recognize Mary from your family photos or research, or if you know of another Edson studio, please leave a comment or contact me directly. 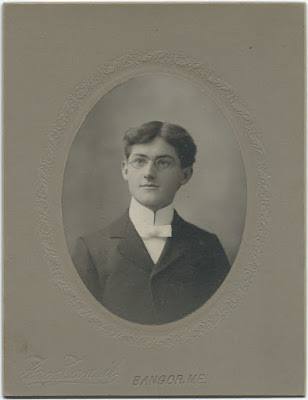 Photograph, presumably a graduation photograph, of Clarence Garland Gould of Milo, Maine, by a Bangor studio. Clarence was a member of the Class of 1904 at Colby College at Waterville, Maine. Alternatively, the photograph might have been taken at Clarence's graduation from a secondary institution, presumably Milo High School. Clarence Garland Gould was born June 20, 1881 at Milo, Maine, the son of Fred Henry Gould and Servina Eliza (Sargent) Gould, "Linnie". 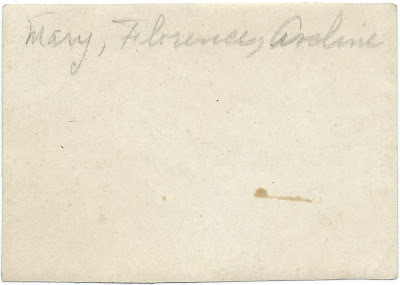 A Colby publication gives his mother as Alice E. (Varney) Gould, but she was the second wife of Clarence's father Fred Henry Gould, whose first wife, "Linnie", died in 1889. Clarence became an educator in Maine, New York, and Connecticut. His first wife, Grace Ella (Bacon) Gould, a 1903 Mount Holyoke graduate, whom he married in Connecticut in 1908, died in 1911, presumably as a result of the birth of son Charles Ebenezer Gould, who also died that year. Grace was the daughter of Charles Ebenezer Bacon and Georgiana T. (Leach) Bacon. On June 24, 1914, Clarence married Linda May Steele of Bristol, Connecticut, daughter of Thomas B. Steele and Jessie Keziah (White) Steele. They had a daughter Eleanor born about 1917. Clarence and Linda had moved to Maine by 1935, where, according to the 1940 Census, they were living at Stockton Springs, Maine. By 1940, Clarence was teaching at a private school. The couple had a daughter, Eleanor, born about 1917. A 1947 Colby publication noted that Clarence had recently retired from college teaching and had moved to Sandy Point, Maine. Clarence died in 1963. June 29, 1911 photograph of brothers Frederick Webber Dooe and Walter Colwell Dooe, taken by the Isaac Erb & Son studio of Saint John, New Brunswick. Frederick Webber Dooe was born June 29, 1901 and Walter Alphonso Colwell Dooe November 12, 1903, both at Saint John, New Brunswick. Their parents were Richmond Dooe and Annie Estella (Webber) Dooe. Both brothers became citizens of the United States. In the mid 1920s, the brothers emigrated to Massachusetts. By 1930, they were living with their Aunt Jane at Cambridge, Massachusetts; Frederick was an accountant at a savings bank, and Walter was a supervisor at the rubber plant. On November 12, 1938 at New Sweden, Maine, Frederick, an accountant, married Olga Mildred Carolina Osell, who was born November 28, 1904 at New Sweden, Maine, daughter of Olof Jonasson Osell and Margareta Karolina Axelldotter (Hogstrom) Osell. The 1940 Census shows Frederick and Olga living at Cambridge, Massachusetts. Frederick died in 1970. On June 26, 1939 at Montreal, Quebec, Walter married Florence Isabel Henry. She was born at Saint John, New Brunswick, on September 30, 1901. The 1940 Census reveals that Walter and Florence were living at Portland, Maine, with Walter working as the manager of the furniture department at a department store, and Florence was working as a graphic artist at a department store, perhaps the same store. Walter died in 1964. If you have corrections and/or additions to the information above, please leave a comment or contact me directly. Please be careful when commenting about living people without their permission. 1902 photograph of an older man identified on the reverse as Benjamin Chase at age 84 years and 6 months. The photograph was found with a collection of photographs, mostly of Maine people. There are several Maine men with birth dates around 1818 and still living in 1902, as well as many more not from Maine. Interestingly, several of the photographs in the collection show people from the Milo, Maine, area, and it so happens that a Benjamin Chase was born at nearby Sebec, Maine, on June 15, 1817 but he died in 1888. Among the possible candidates is the Benjamin Chase born May 12, 1819 at Canaan, Maine, son of Benjamin Chase and Lucy (Burrill) Chase. That Benjamin married 1) Lovina Connor; 2) Mrs. Adeline (Cook) Crowell, widow of Ruel Crowell. This Benjamin lived until 1907. Hopefully a reader will recognize Benjamin from family photographs and research and will provide more information. 1924 snapshot of a woman identified as "Mother", taken at Saint Francis, presumably Saint Francis, Maine, in Aroostook County. 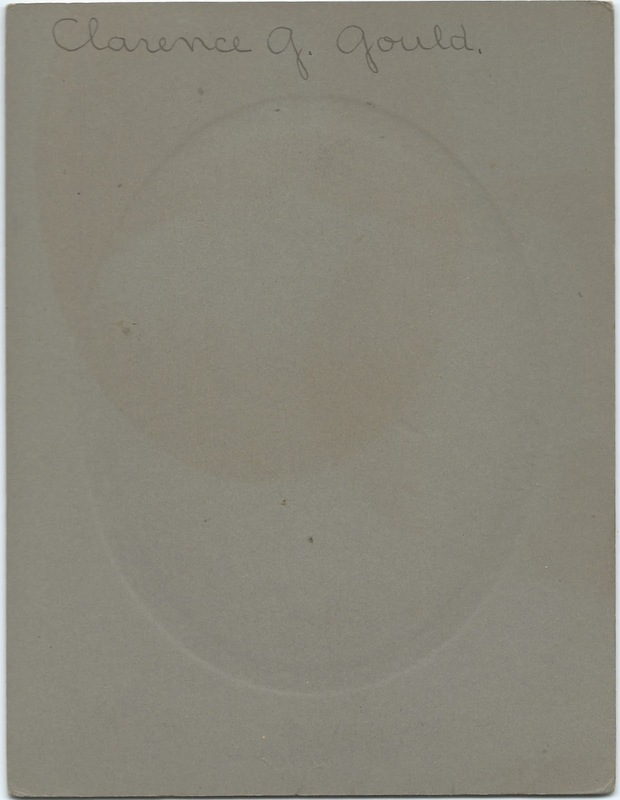 The photograph above measures approximately 4-1/2" by 2-3/4". Hopefully a reader will recognize the house in the background and, by association, the house where "Mother" is standing. Below is the photograph of two women, one of them identified as Mrs. Angie Webster, at Aroostook Falls. Angie was Angie E. (Willey) Webster, daughter of John Willey and Hellen M. (Forrest) Willey and then wife of Arthur Stanley Webster, son of Hosea Webster and Mehitable (Davis) Webster. 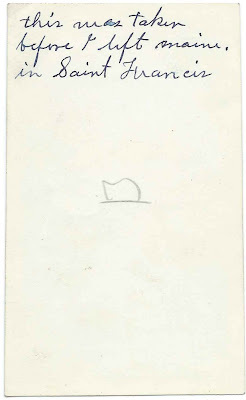 Perhaps the woman with Angie in the photograph above is the daughter or daughter-in-law of "Mother", as the handwriting appears similar. ngie E. Willey was born December 3, 1875 at Stewartstown, New Hampshire, the daughter of John Willey and Hellen M. (Forrest) Willey; as noted above, other records show Hellen's given name as Helen and Ellen. On July 15, 1893 at Caribou, Maine, Angie married Arthur Stanley Webster, son of Hosea Webster and Mehitable (Davis) Webster of Limestone, Maine. Arthur was born October 24, 1872. At some point after the 1910 Census, Angie and Arthur divorced. On November 8, 1914 at North Stratford, New Hampshire, Angie married James Edwin Peers, son of Abel and Olive (Tilley) Peers. James indicated on his marriage record that he was five years younger than Angie, but he was actually born February 5, 1888. Angie died in 1930 and is buried in the Webster Cemetery at Limestone, Maine. Her widower James married Dorothy M. Cook in 1933; they later divorced. James died in 1973 at Groveton, New Hampshire; he's also buried in the Webster Cemetery at Limestone, Maine. 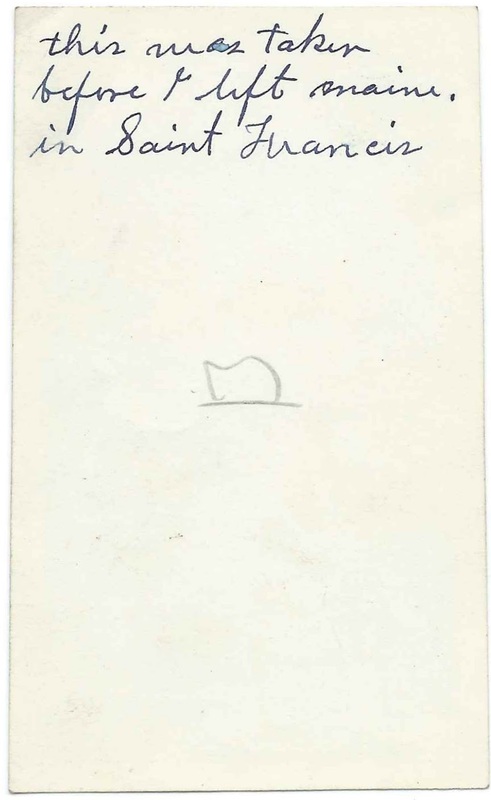 If you have corrections and/or additions to the information above, or a theory as to the identity of "Mother" and the person writing the identification, please leave a comment or contact me directly. c1900 photograph of two young women at Aroostook Falls on the Aroostook River near Fort Fairfield, Maine. One of the women is identified on the reverse as Mrs. Angie Webster, friend of the owner of the photograph. Angie may have been Angie E. (Willey) Webster, wife of Arthur S. Webster and daughter of John Willey and Hellen M. (Forrest) Willey. Other records show Hellen's name as Helen and Ellen. The photograph was found in a collection of photographs, many of which relate to Maine, especially Milo, Maine. One other photograph, dated 1924 and showing "Mother" at Saint Francis, Maine, also in Aroostook County, may or may not be related to the photograph above. Perhaps the clue of Saint Francis, assuming the two photographs belong together, will jog the memory of a reader. Angie E. Willey was born December 3, 1875 at Stewartstown, New Hampshire, the daughter of John Willey and Hellen M. (Forrest) Willey; as noted above, other records show Hellen's given name as Helen and Ellen. On July 15, 1893 at Caribou, Maine, Angie married Arthur Stanley Webster, son of Hosea Webster and Mehitable (Davis) Webster of Limestone, Maine. Arthur was born October 24, 1872. If you have corrections and/or additions to the information above, an alternate identity for Mrs. Angie Webster or if you have an idea who the owner of the photograph might be, please leave a comment or contact me directly. c1910 photograph of two women identified on the reverse as Rose Stone and Jane Jones. Because the photograph was found with a collection of photographs, many of which were related to the Milo, Maine, area, these women may have been teachers Rose Ethel (Doble) Stone and Jane Jones of Milo, Maine. Rose married Charles W. Stone, Jr., in 1907. The photograph may have been taken after that date, or it may have been taken before Rose was married, with the identification provided at a later date. 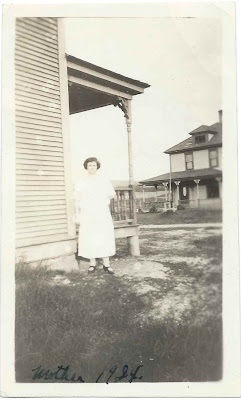 Rose Ethel (Doble) Stone, hopefully the woman in the photograph, was born March 10, 1886 at Milo, Maine, the daughter of Benjamin Willis Doble and Lois Belle (Danforth) Doble. On June 11, 1907 at Milo, Maine, Rose married Charles Wesley Stone, Jr., son of Charles Wesley Stone and Frances Augusta (Cross) Stone. Charles, Jr., was born born February 11, 1880 and had graduated from the University of Maine with a degree in chemistry in 1903. At the time of their marriage, Rose was teaching and Charles was working as a chemist. Rose lived a long life and died in Virginia in 1980. Charles had predeceased her in Virginia in 1940. Jane Amanda Jones, hopefully the other woman in the photograph, was born at Bucksport, Maine, on November 26, 1875, the daughter of railway contractors George A. Jones and Rachel (Lawrence) Jones. 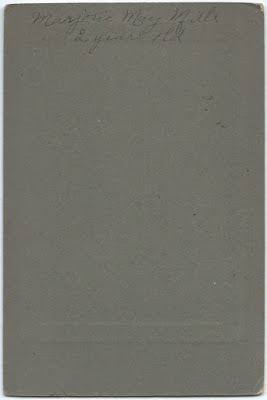 Interestingly, two other photographs were found in the collection containing the photograph above. 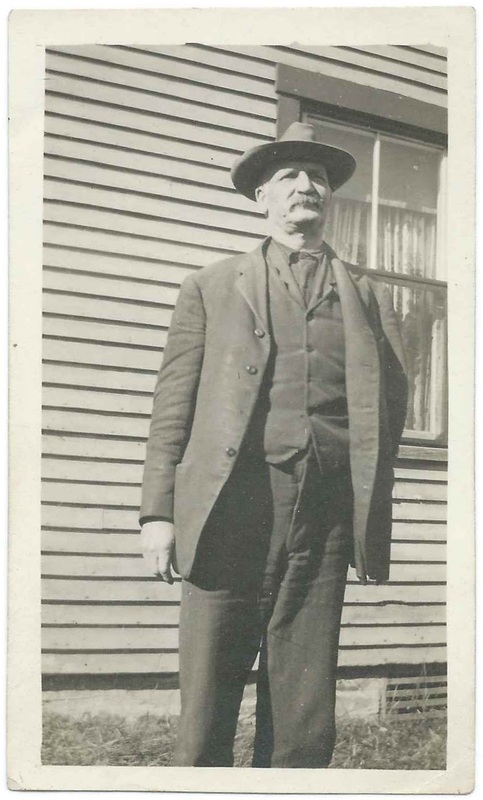 One shows a man identified on the reverse as George Jones, who may have been Martha's father George A. Jones, who was born at Pugwash, Nova Scotia, on March 16, 1853. Another photograph shows Mildred Billings who wrote on the reverse that her photograph was intended for Miss Jones, perhaps for Jane or her sister Martha. Both Jane and her sister Martha taught school, so either would have been a plausible "Miss Jones". I don't believe Jane ever married. She died in 1959 and is buried in the Everegreen Cemetery at Milo, Maine, with family members. If you have corrections and/or additions to the information above or if you have an alternate theory for either or both of the women, please leave a comment or contact me directly. c1900 photograph of two young girls with the name of Mrs. Frank Heath, Mill Street, Ellsworth Falls, Ellsworth, Maine, on the reverse. 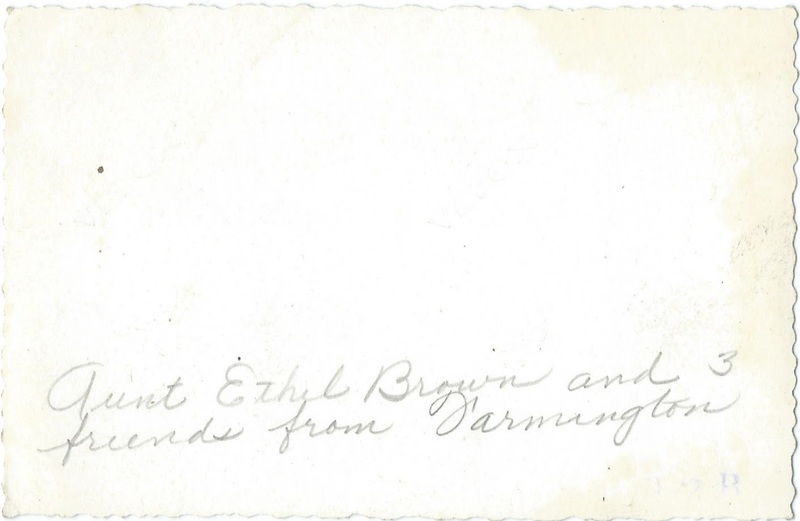 It's intriguing to note that a Mrs. Bertha Belle (Brown) Heath, wife of Frank Heath, lived at Ellswortth, Maine, and had two daughters, Julia Brown Heath and Doris S. Heath. Perhaps they are the girls pictured above. Frank Linwood Heath was born October 26, 1982, at Ellsworth, Maine (according to his marriage record) the son of Francis Heath and Susan (Maddocks or Maddox) Heath. On June 19, 1897 at Ellsworth, Maine, Frank Linwood Heath married Bertha Belle Brown, who was born November 17, 1873 at Ellsworth, Maine, daughter of Henry Mayo Brown and Letitia A. (Garland) Brown. 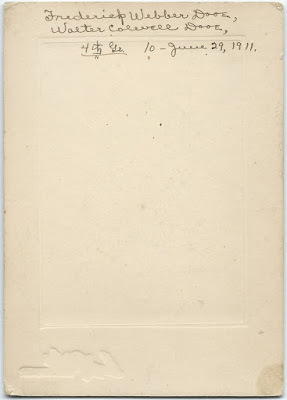 See other posts that deal with the diaries of the Moore and Garland families of Ellsworth, Maine. As noted above, Julia and Doris may be the girls in the photograph at top. If you have corrections and/or additions to the information above, or an alternate identity for the two girls, please leave a comment or contact me directly. c1909 photograph of brothers identified on the reverse, from right to left, as Louis Edmond White, age 6 years and 6 months, and Lawrence Bartlett White, age 2 years and 9 months, taken while the family was living at Fargo, North Dakota. Their parents, Horace L. White and Grace Rae (Jackson) White had married at Wiscasset, Maine, on April 4, 1901. According to their marriage record, Horace was then living at Burlington, Vermont, and working as a teacher; Grace was living with her parents at Wiscasset, Maine, and working as a compositor. Interestingly, the marriage record also reveals that the ceremony was performed by Grace's father. 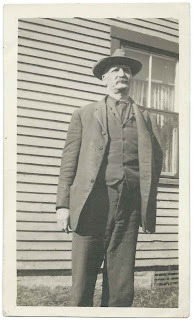 Horace was born March 20, 1870 at Portland, Maine, son of William White and Ann Augusta (Oliver) White. Grace was born September 28, 1873 at Lincolnville, Maine, daughter of Rev. William Bartlett Jackson and Ellen Adelaide (Ward) Jackson. 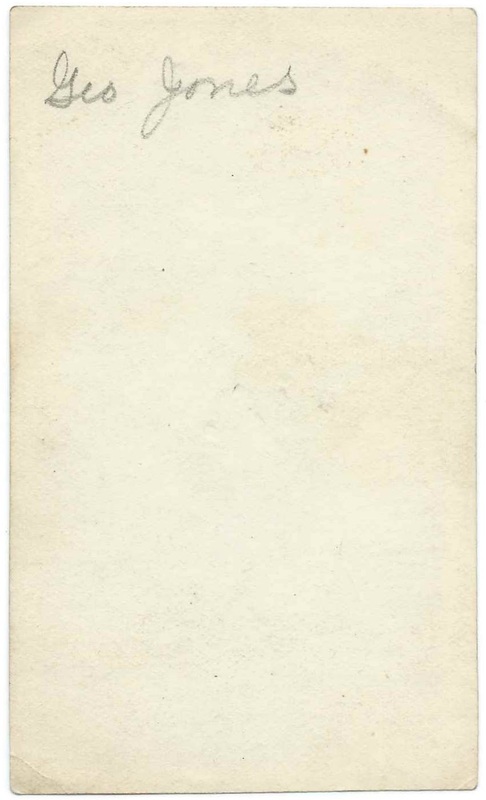 Louis Edmond White was born in 1903 and Lawrence in 1907, both at Burlington, Vermont. By 1910, the family, including Horace's father William, were living at Fargo, North Dakota, where Horace was a chemistry professor. By 1920, the family, including William, had moved to Los Angeles, California, where the Census showed Horace as a chemistry teacher. Horace died in 1925 and Grace in 1949, both in California. I looked briefly to see if Grace Rae (Jackson) White was related to Maine war hero Dr. Sumner Waldron Jackson, "Doctor to the Resistance", but apparently not, at least not closely. Not surprisingly, given their family history, Louis Edmond White became a minister in Oregon and Lawrence Bartlett White an educator in California. If you have corrections and/or additions to the information above, please leave a comment or contact me directly. Please be careful when commenting about living people without permission. 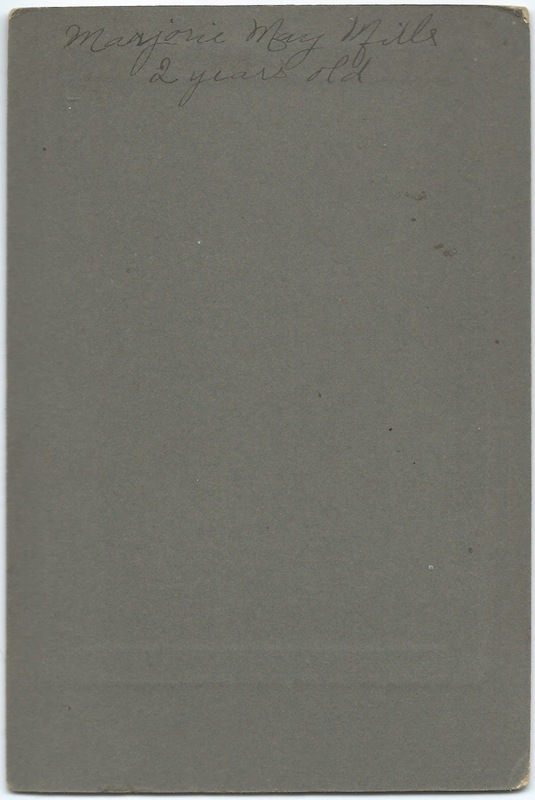 Two photographs of the Kittredge family of Milo, Maine. The photograph above, perhaps dating to around 1900, shows Alice Kent (Perkins) Kittredge and an unidentified friend on an outing to a lighthouse. The photograph measures approximately 3-3/4" square. Alice Kent (Perkins) Kittredge was born at Medford, Maine, on July 30, 1877 , the daughter of John A. and Emma Caroline (Kent) Perkins. 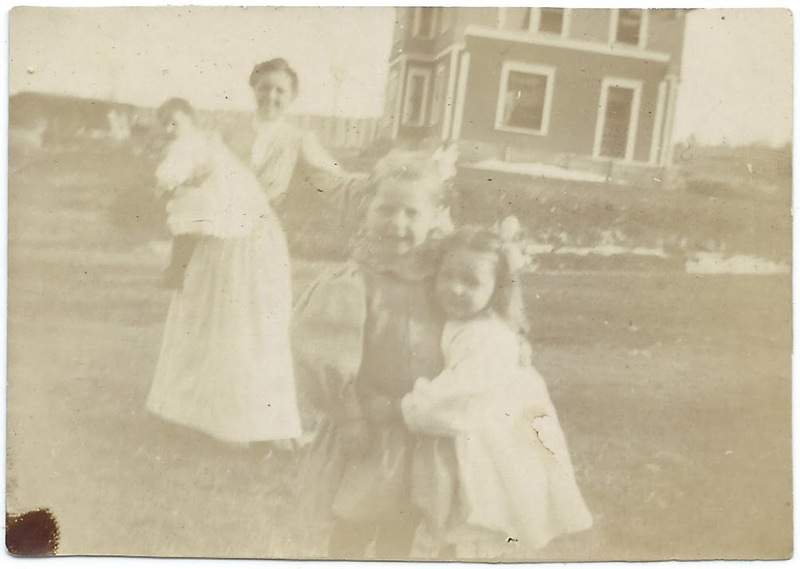 See another post that features a photograph of Emma Caroline (Kent) Perkins taken while she was visiting at The Samoset at Rockport, Maine. On September 17, 1901 at Milo, Maine, Alice married Fred M. Kittredge, son of Benjamin Rodney Kittredge and Amelia Rogers (Murray) Kittredge. They had at least two children, a son and a daughter. 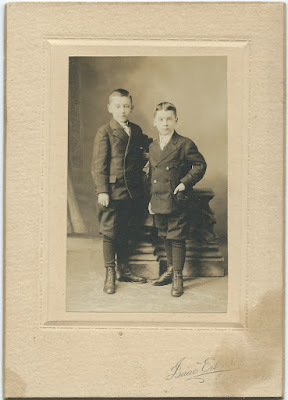 The photograph below, approximately 5" by 3" and dating to the 1930s, shows brothers Arnold Kittredge and Philip Kittredge. Melvin Arnold Kittredge was born September 6, 1914; Philip F. Kittredge was born March 12, 1930. They were the sons of Melvin Benjamin Kittredge and Gertrude V. (Hobbs) Kittredge. The boys' father, Melvin Benjamin Kittredge, was a brother to Fred Murray Kittredge, husband of Alice Kent (Perkins) Kittredge. If you have corrections and/or additions to the information above, please leave a comment or contact me directly. Please be careful when commenting about living people, or their relatives, without their permission. Photograph, dated "1900? 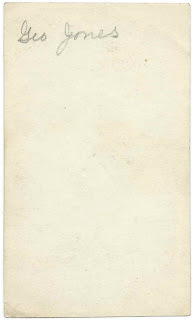 ", of five women, the reverse of which identifies three of them as Edie Lou Dinsmore; Elsie Thompson; and Mertie Wiley. Presumably "Mama", the mother of the person writing the identifications, was also in the photograph. I believe the women hailed from Milo, Maine, and vicinity. The photograph was found with other photographs from the Milo, Maine, area, including one of Frank Gilmore Thompson and his wife Katherine Maud (Hanscom) Thompson. Perhaps "Mama" was Katherine, who was born June 15, 1879 at Milo, Maine, the daughter of Isaac Wilson Hanscom and Lizzie Catherine (Wingate) Hanscom. Edie Lou Dinsmore was presumably Eda Lue Dinsmore, born August 29, 1879 at Medford, Maine, the daughter of Samuel Osco Dinsmore and Ida Frances (Smart) Dinsmore. She later worked as a stenographer at Fairfield, Maine, and Bangor, Maine. Elsie Thompson may have been related by blood or marriage to Katherine's husband Frank Gilmore Thompson. 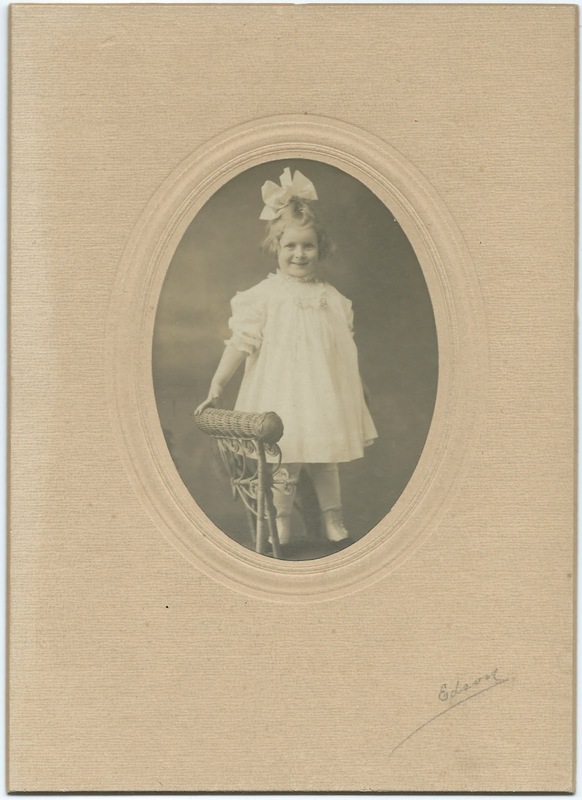 The identification shows her given name as Elsie ?, so it's possible that Elsie is not her given name, or perhaps the question mark indicated that the writer did not know her middle name or maiden name. Mertie Wiley may have been Myrtle Rosmer Littlefield, who married Fred Elmer Wiley at Lagrange, Maine, on October 26, 1902. Myrtle was born at Medford, Maine, on March 11, 1880, daughter of Henry A. Littlefield and Lena E. (Thomas) Littlefield. If you recognize any of these women from your family photos, please leave a comment or contact me directly. 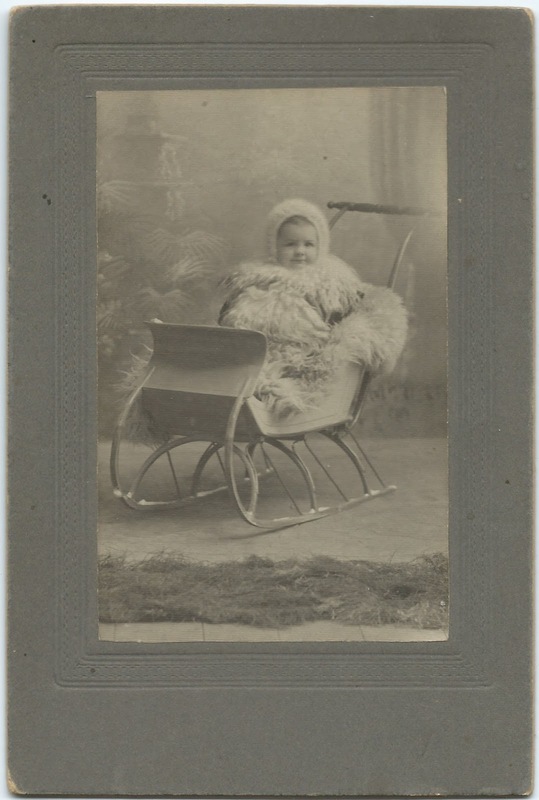 Early 1900s photograph of a child; the reverse bears the name and address of Mrs. Martha Prescott of Milo, Maine. a photograph of Rachel's mother Martha (Jones) Prescott with 9 other young women, only three of whom are identified. The identifications were apparently written some years after the photograph was taken. a photograph of Rachel Alice Prescott, daughter of Martha (Jones) Prescott and Edward P. Prescott of Milo, Maine, who may be the child in the photograph above, or her brother or sister. Mrs. Martha Prescott of Post Office Box 435, Riverside Street, Milo, Maine, was presumably Martha (Jones) Prescott, wife of Edward P. Prescott. They had at least three children, one of whom is presumably the child in the photograph. Martha E. Jones was born October 23, 1877 at Bucksport, Maine, the daughter of George A. Jones and Rachel (Lawrence) Jones. Martha's name was spelled as Martha E. Jones on her marriage record, though other sources have her name as Martha A. Jones. She was a member of the class of 1896 at Milo High School. If you have corrections and/or additions to the information above, or if you have a similar photograph with the child identified, please leave a comment or contact me directly. c1920 photograph of two young men identified on the reverse as brothers Zenas Morse and Herman Morse, relaxing at their cabin in the woods. The photograph measures approximately 4-3/4" by 3-3/4". Mounted, the piece is approximately 6-1/2" by 4-1/4". The photograph was purchased in Maine with other Maine photographs, The brothers may have been Zenas Stillman Morse and Herman Carroll Morse of Woodstock, Maine, possibly in the village of Bryant Pond. They appear to have lived in other towns in Oxford County, Maine, throughout their lives. Zenas Stillman Morse was born at Bethel, Maine, on January 2, 1906, son of Zenas Haynes Morse and Lucy Ellen (Brown) Morse. 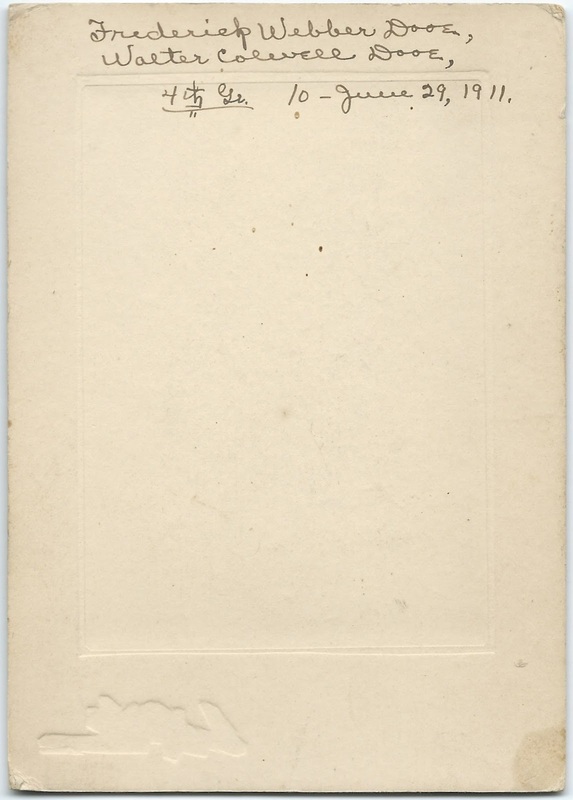 The names were spelled as Zenus Stillman Morse and Zeanus H. Morse on son Zenas' birth record. Zenas Stillman Morse may have been nicknamed Zeke. In 1924 at South Paris, Maine, Zenas Stillman Morse married Della Marie Cole, daughter of Albion Emery Cole and Mildred F. (Emmons) Cole. Zenas and Della had at least one child and then divorced. 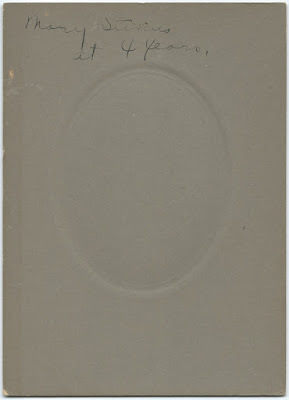 Zenas may have been the Zenas S. Morse who was married again in 1955 to Dorothy, whose maiden name was possibly Dickinson or Ernst. Herman Carroll Morse was born at Woodstock, Maine, on December 6, 1907, son of Zenas Haynes Morse and Lucy Ellen (Brown) Morse. He married twice: 1) Thelma Rolfe in 1927; 2) Angie Morse in 1937. If you have corrections and/or additions to the information above, or if you feel that Zenas Morse and Herman Morse were another set of brothers, please leave a comment or contact me directly.